Okay, so the title is not really appropriate considering the fact that for those who love fishing, there is no "off season." However, there is a kind of off season for different ways of fishing. For example, in the middle of the summer it would be amusing to watch a person try and walk out on a lake to drill a hole. And in the middle of the winter it sure becomes difficult to fling a little three weight at high mountain stream trout when they wriggle under four feet of snow and ice. When mid summer hits and the runoff has come down, my mind looks toward those beautiful little streams up in the mountains. They are the ones that usually require some hiking, ambling through thick brush, or slipping over large smooth boulders. 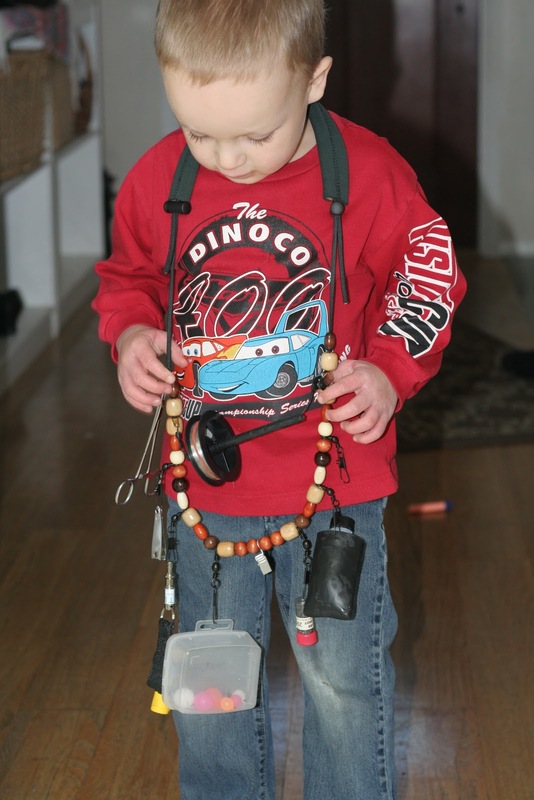 With the effort these little gems require to navigate, it's nice to have less tackle to carry. I usually wear a fishing vest, but as I have come to better understand, the more you know what you are doing the less gear you need. Here is my first attempt at a minimalistic approach to fly fishing. 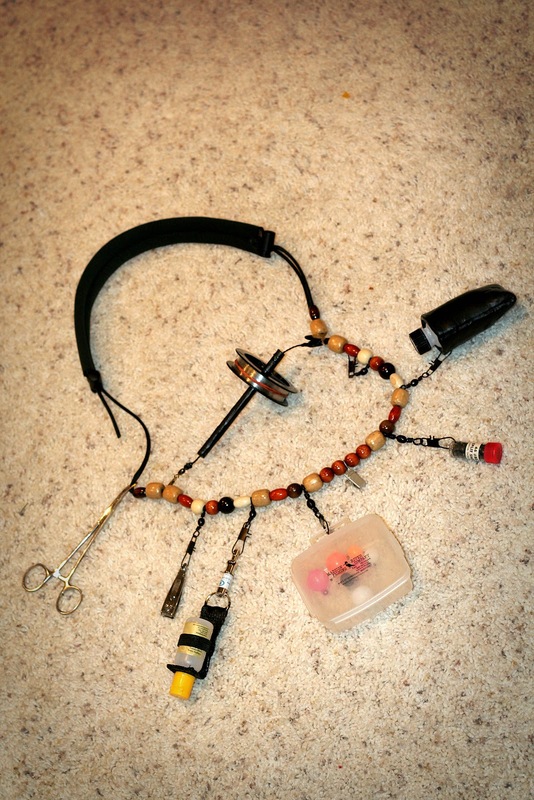 And it begins with a homemade flyfishing lanyard. This is a little neoprene bag, coated with plastidip. I made it to carry my Frogs Fanny. This is a little container for split shot. I don't know just yet whether I will be keeping this on the lanyard since most of the fishing I do in these streams is with dries. This is a clip that I placed right in the bottom center of the lanyard, so I can attach it to my shirt or waders. This keeps the lanyard from moving around too much or getting in the way when leaning over. This is a small container that will more likely hold flies than indicators, but right now it is their temporary home. This is my liquid fly flotant. I'm not sure that I will keep the quick release on there. Nippers are a must have. I considered attaching these to a swivel with a retractor and I still might, but figured I would give them a try here first. This is a tippet holder. 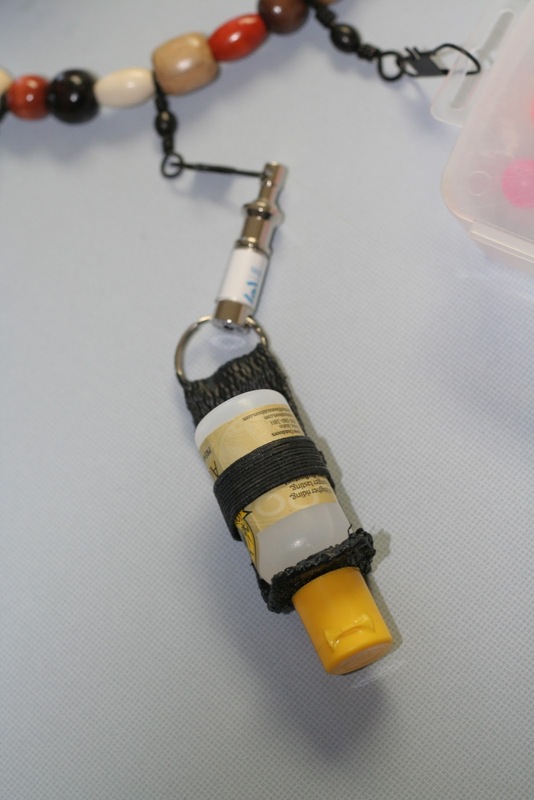 It is made from a bic pen tube, 20# mono that is braided, a swivel and a clip, and it is all coated in Plastidip. You can see the swivel in this picture. A view where the clip can be seen. I had some help from my wife with this part. It is the neck pad. It is made from neoprene (I had some old waders). I cut out a rectangular strip, folded both ends in and then ran a cross stitch down it to form two tubelike sections. The cord is paracord, and each tube has one cord run through it. The ends I bought from Sportsmans Warehouse for just over a dollar. Here is Will modeling the lanyard. There are definitely some refinements that I will be making, especially after I start field testing it, but for all intents and purposes it is ready to fish! Now I need to think of something else to work on, or maybe I should just tie some flies or paint some jigs.